On Thursday 22 November, students who will be new to Pedare in 2019, joined our classes for the essential transition and introduction program for 2019. 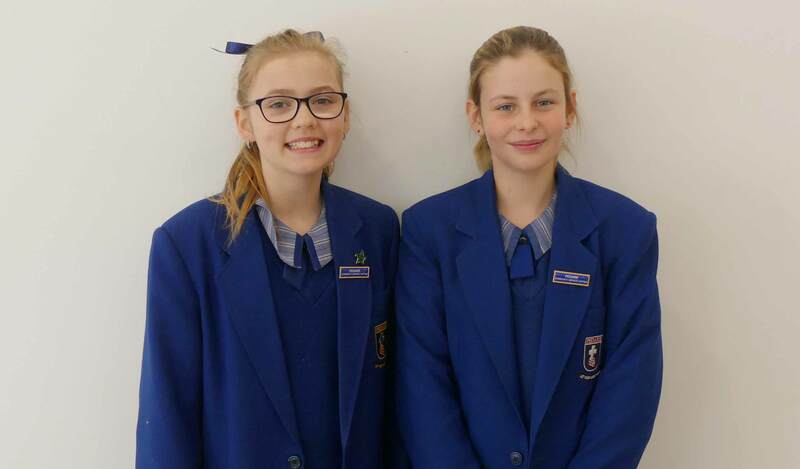 The Junior School hosted all ‘new for 2019’ Year 1 to Year 5 students and the Middle School hosted all the current Pedare Year 5s and the new Year 6 to Year 9 students. We were also pleased to welcome the new Head of Middle School 2019, Mrs Lauren Brooks, for the day. Mrs Brooks will join Pedare in January. 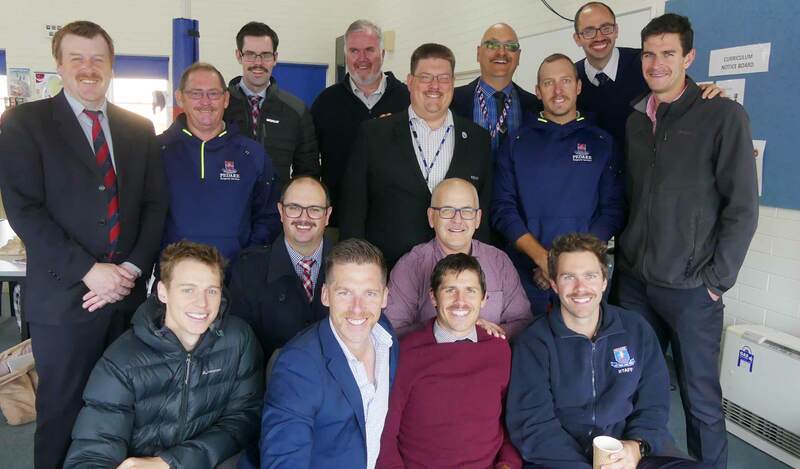 The Middle School students met the year level teachers, Community Coordinators, and Camp Coordinator, Mr Michael Secomb, Mrs Nadine Stroud Director of Music and Mr Josh Willis, Director of Sport to learn about Pedare’s culture of learning, pastoral care and the many growth and challenge opportunities available to students. 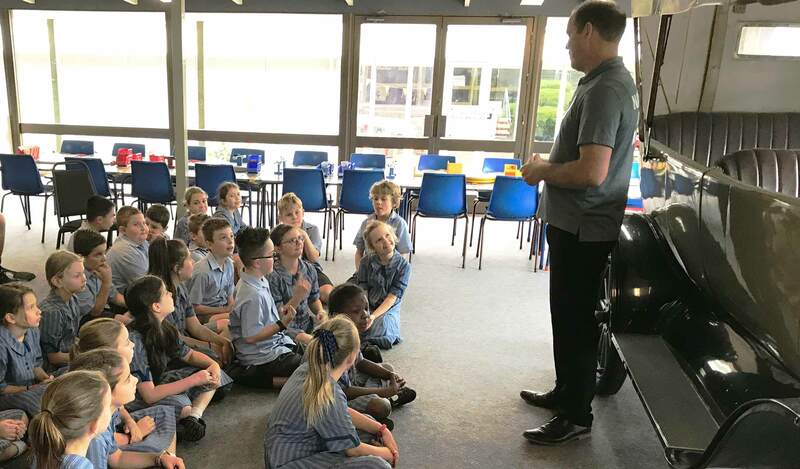 The Junior School students spent time with their teacher teams and in class making connections with the students. Transition Day commenced with the induction of the Middle School Leaders for 2019. This was an opportunity to extend a very big thank you to the leaders of 2018 for their service and contributions and to welcome the new student leaders for 2019. 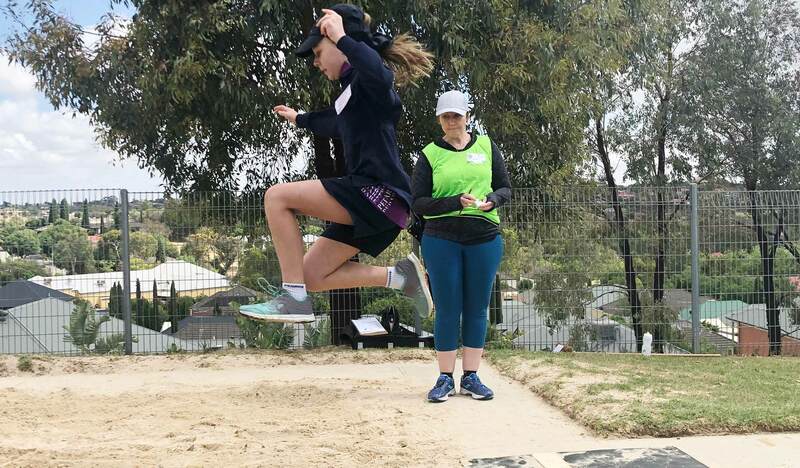 We look forward to a very exciting 2019 as our Middle and Senior School students embrace the leadership, mentoring and coaching opportunities that will come from having 320 Junior School students join with us on the One College campus. What a busy end of term! 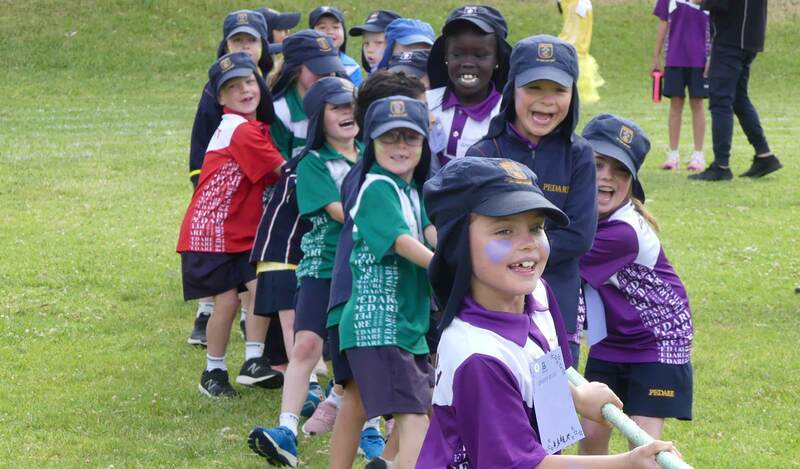 Today we completed another successful Sports Day and into the evening completed our Junior School Thanksgiving, where we gave thanks to our Bicentennial Drive Campus in style with a family picnic, outdoor cinema and a fireworks display. This event took much planning from a dedicated team that works tirelessly behind the scenes. My sincere thanks to Mr Perry, Mr and Mrs Hopper, Mrs Clifton and Mrs Piercey. Year level teachers will be shared on 3 December, when the children will meet their teacher and class for 2019. On this day, will also be sending home the year level class lists along with the Semester 2 Student Report. I am pleased to share the replacement for Mrs Joy Ey will be Miss Sarah Davis, who will join us from Lobethal Lutheran School and before that, St Martins Lutheran School in Mt Gambier. Miss Davis is an experienced Reception Teacher who has already met our Reception Ready class and some of the parents, she impressed us in her interview and during her visit, was warm, kind and knows what is required to assist both children and families in their first year of schooling. Ms Vicki Votino, who is currently on contract within a Year 4 class, has been appointed to the 1.0 FTE permanent teaching role at the Junior School and we “welcome her back” to Pedare. Vicki left us a few years ago to further her teaching experiences in England and then returned in a contract role this year. Ms Grace Liu has been appointed to the permanent part-time role for teaching of Chinese following on from the resignation of Mrs Jie Zhu. Grace has held the contract position while Jie was on parenting leave. Mrs Tania Crawford has been appointed to the 1.0 FTE teaching role which is a contract for 2019. Tania has come to us this semester from Seymour College and is currently teaching Year 2. 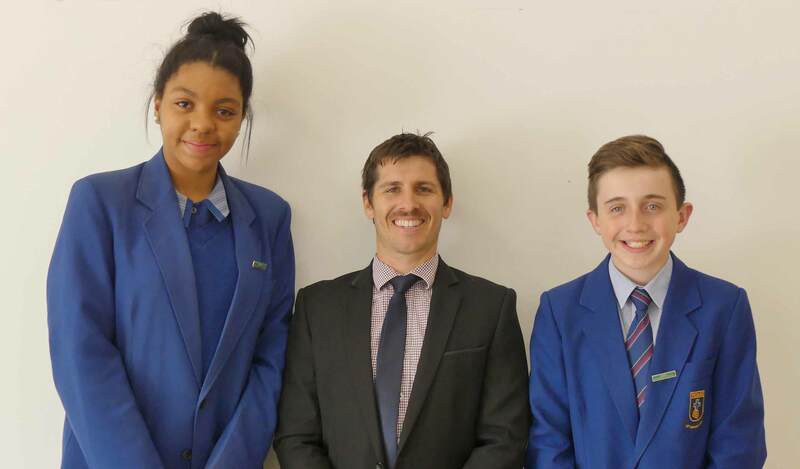 Mr Jay Callaghan has been appointed to the 1.0 FTE teaching role which is a contract for 2019. 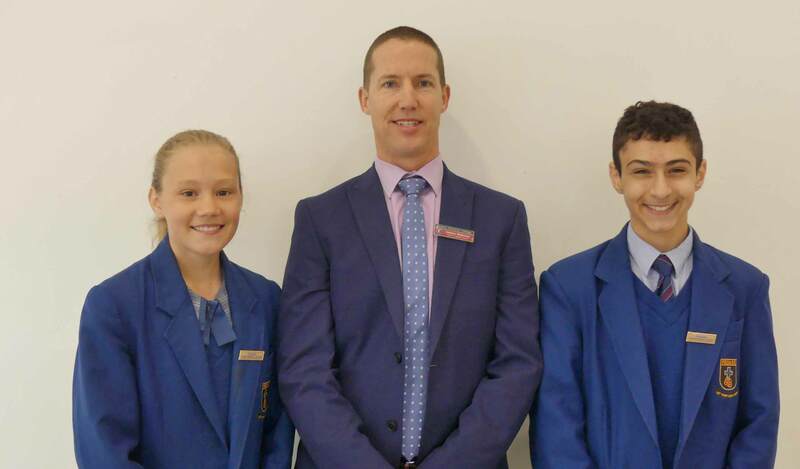 Jay came to us this year from Pultney Grammar and is currently teaching Year 4. There have been other changes to staffing due to our move toward One College which I would like to share. From the beginning of 2019, our College will have a full-time R-12 Learning Support Coordinator. 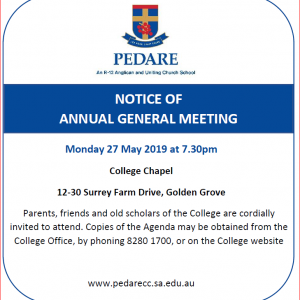 Mrs Julie Bruce and the College have sought to find a way to have her stay at Pedare in this full-time coordinator position from next year but, due to her family commitments, she is unable to take up my offer of the extended role. We are very grateful to Julie for her wonderful contributions to Pedare’s Learning Support program over many years. We look forward to maintaining Julie’s significant focus on early intervention and the benefits that will flow from the coordination of our support program across all year levels. As we move to One College, our Library will be led by Mrs Liz Denton-Brown (Current Middle/Senior School Librarian) supported by Education Support Officers. As a result, Mrs Heather Bennett’s position will become redundant from the commencement of the 2019 school year. We are thankful for the many years of her dedicated service to the Junior School Library. Heather has been a tireless advocate for children’s reading and literature in her 9 years at Pedare. Her love for reading has been infectious and we look forward to maintaining Heather’s vision that the Library remain the hub of learning for the College for both students and teachers. 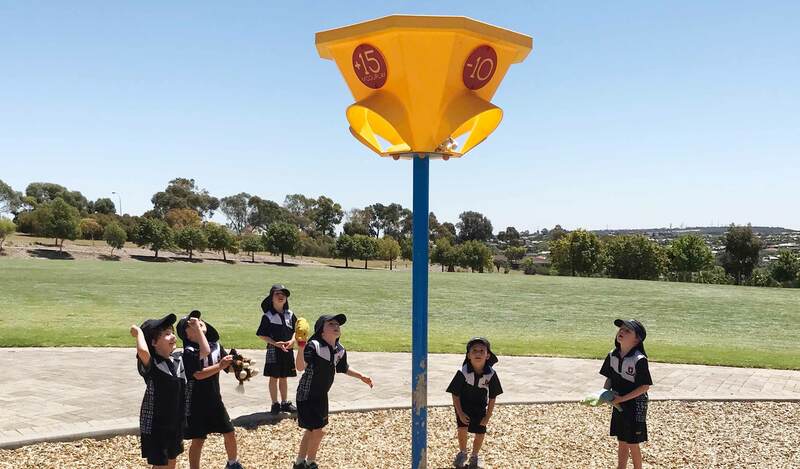 This week, we welcomed 17 new students to Pedare for 2019, from Year 1 to Year 5. These new students were buddied up with a current Pedare student, who supported and welcomed these them to our school. Many thanks to the students and families who took on this role and gave a wonderful introduction to Pedare. It was wonderful to see so many happy faces at the end of our Transition Day for Middle School students on Thursday. A lot of nervous energy was harnessed through the day where our new Year 6-8 students joined the Pedare Community for the day. The interaction between our students was excellent, with many of our current students going out of their way to welcome and talk with students they did not know. It takes a lot of courage on both sides and I was pleased with the whole community at the end of the day. 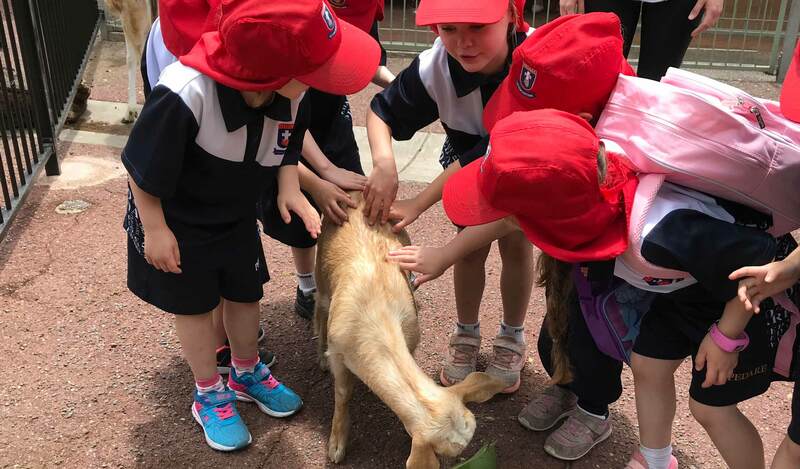 We had many student helpers ensure the newest members of our College were well looked after and were well fed at lunchtime. 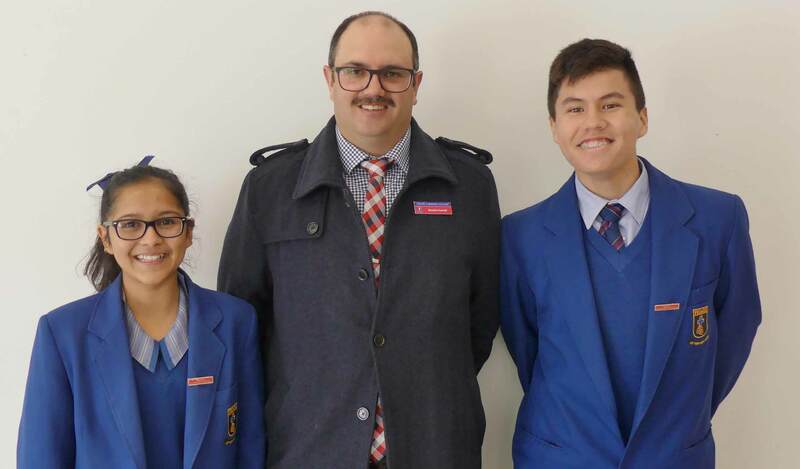 Congratulations to Emma Milne and Waseem El Rachid who have been elected as Middle School Captains for 2019. These two students stood out in a very strong field and we (and the students) are excited to have them lead the Middle School next year. 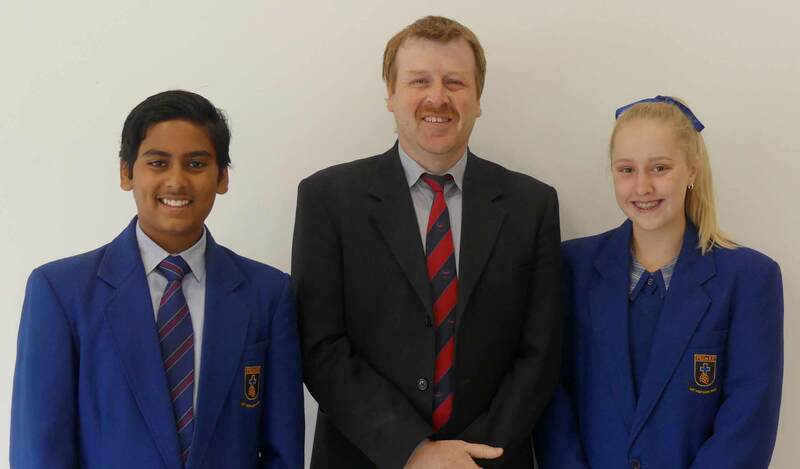 Emma and Waseen, as well as the Middle School Community Captains and Community Service Captains, were introduced to the Pedare Community at the Leadership induction assembly on Thursday 22 November. I talked to the students and parents about how a good leader inspires others around them to become leaders and want people to join them on a journey. I am confident the leaders we have next year will inspire others to greatness. We thanked the outgoing leaders of 2018 who have led the College with great integrity and enthusiasm. 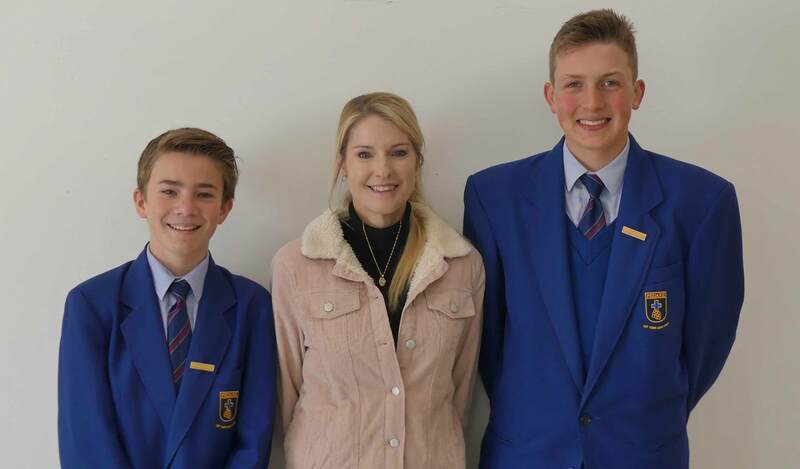 Shannon Taylor and Joshua Carrigan, our 2018 Captains were able to perform their duties with ease and always with the College’s best interests at heart. I wish them and all our leaders of 2018 every success as they join the Senior School next year. Congratulations to all the Middle School leaders for 2019. Please click here to view photos. All parents are invited to attend the Thanksgiving service commencing at 1:00pm. Students will be advised of their Core Class teacher(s) at the completion of Week 8. We look forward to commencing 2019 in a new era for the College with One College on One Campus. The students have been extremely resilient this year and particularly this term, we are very proud of the character they have shown. We look forward to celebrating the year and hope that you can join us for this celebration. 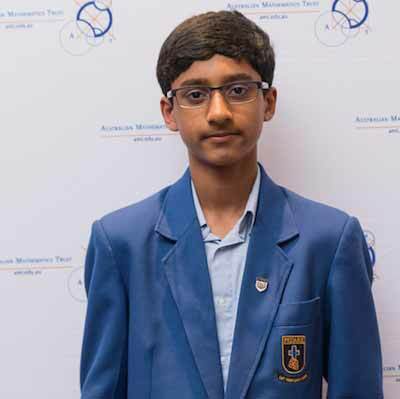 Congratulations to Kai Gres, Year 11, who has been selected to attend the SAPOL Youth Leadership Camp, run by the S.T.A.R. 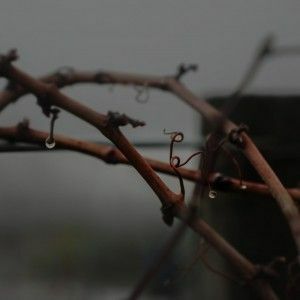 Group, to be held over five days during the up-coming January holidays. We wish him well for what should be a most worthwhile and challenging experience. Our Year 12s have now completed their final written examinations, in what was a very smoothly run process. Their results are expected to be released around the 18 December. We look forward to celebrating with them at their Formal next Wednesday evening at Sfera’s, to be followed by the Senior Thanksgiving Service to be held on Tuesday 4 December commencing at 7.00pm in the Chapel. This is a special and significant event in the College calendar and it is an expectation that all Senior School students attend. Information about this occasion and details for the final weeks of the term have been emailed to Year 10 and 11 students and their families. We wish these students well as they sit their exams next week. Marked examinations and Semester 2 reports will be available for collection on Monday 10 December, as per the afore-mentioned email. As another year comes to a rapid close, we wish those Senior School students who are moving on from the College all the very best for their future studies and career pathways. And we look forward to returning in 2019 to what will be a most exciting time as One College. Following on from The Vine, Issue 17, the Pedare Cultural Tour of China will be back sometime in Term 3 or Term 4, 2019. Over the past few weeks, we have been working behind the scenes to get travel arrangements and quotations in place. At this stage, we are pleased to announce the cost for the 13-day tour will be approximately $4200, depending on the number of participants and the exchange rate. This cost encompasses, transport, accommodation, meals, insurance, visa application, entries to most activities and venues and contingency money. The information session will be held in early Term 1, 2019. As mentioned, normally this is restricted to language students, however, this coming tour will be open to all students and will focus on Arts, History, Culture and of course a visit to our sister schools where we participate in sporting activities and cultural exchange, therefore, an invitation email will be sent to all students from Years 8 – 11. 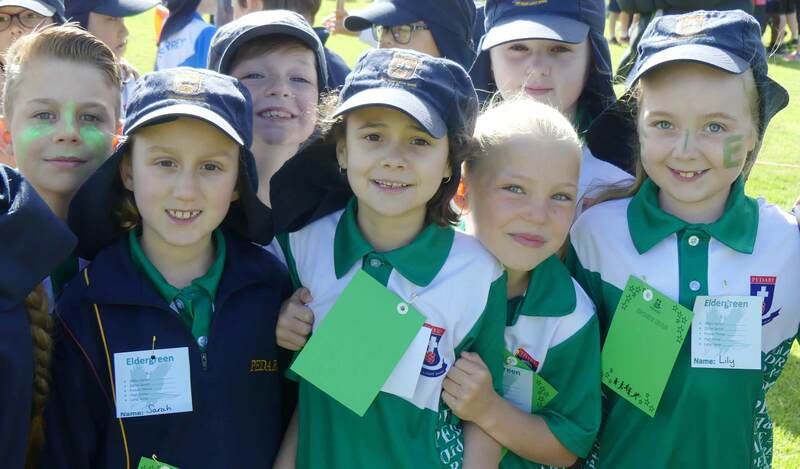 Thankfully the weather was kind to us this year for the Junior School Sports Day. 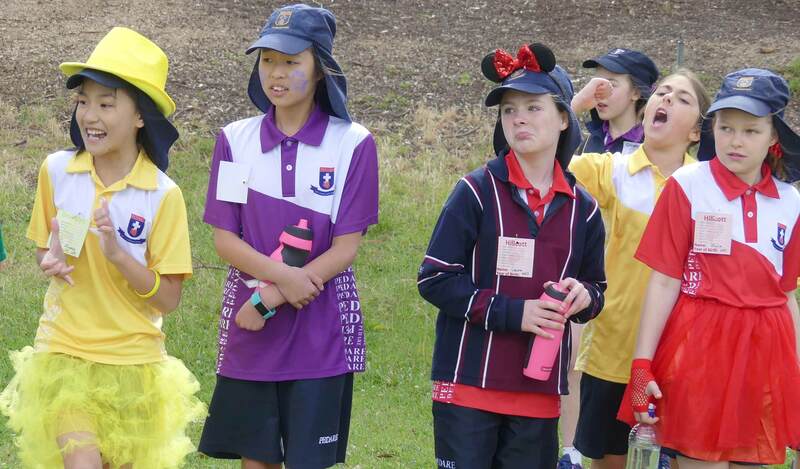 With a great deal of excitement, topped with a huge amount of enthusiasm, students competed in the many events. 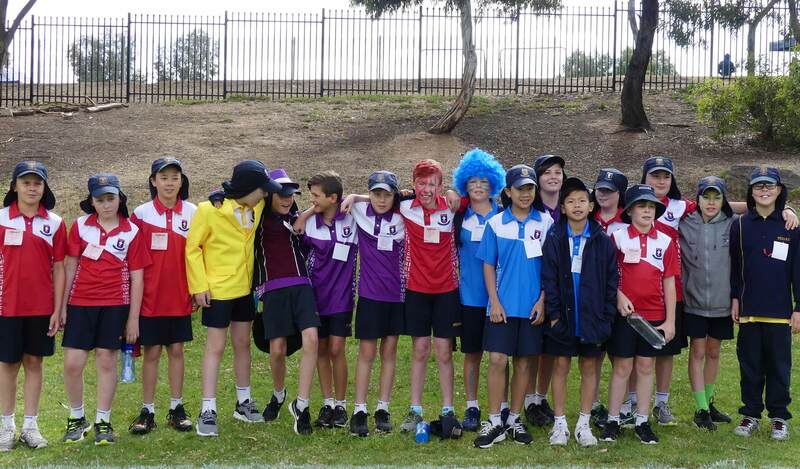 The colours of the Community tops looked fabulous and were worn with pride as students tried their hardest to win for their community. This year, Sports Day was held in the morning and, after an afternoon break, came back to finish off with the relays at 4:30pm before continuing on with the Thanksgiving Service, Dinner, Movie and finally the fireworks, all in celebration of the closing of the Junior School as we become One College. 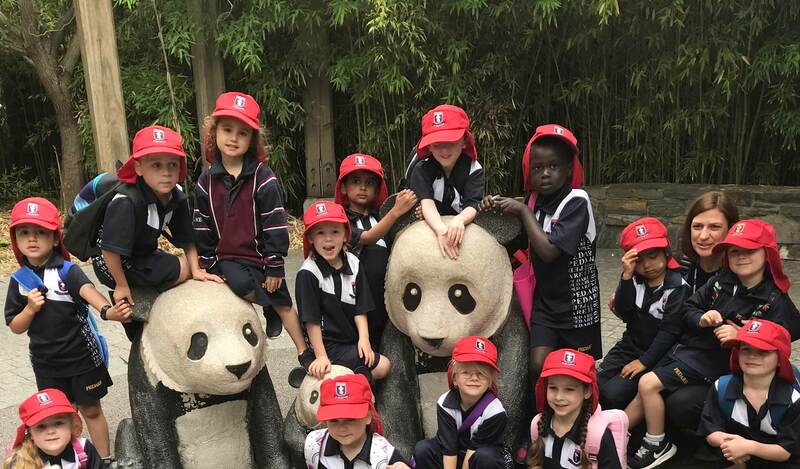 On Wednesday 14 November, Reception Ready students went on an excursion to the Adelaide Zoo as a part of their inquiry into ‘colour has a purpose in our world.’ It provided them with the opportunity to see how animals use colour. 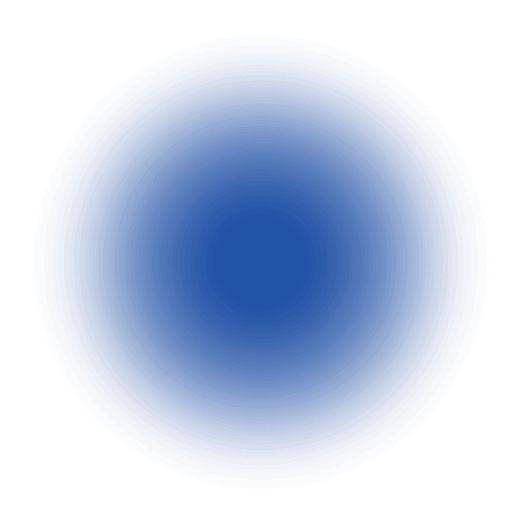 They discovered giraffes and some lizards have blue tongues so their tongues do not get sunburnt, and that many animals use the colours red and orange to warn other animals they may be dangerous. 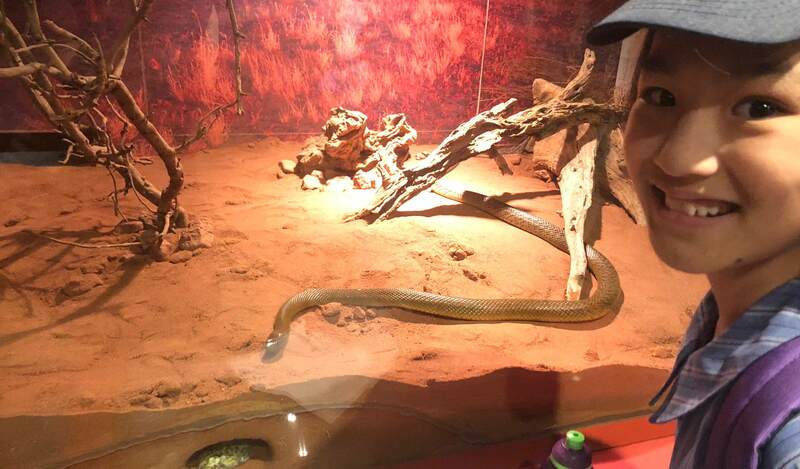 In the Envirodome, they were able to pat a blue tongue lizard and a very friendly and non-venomous snake. 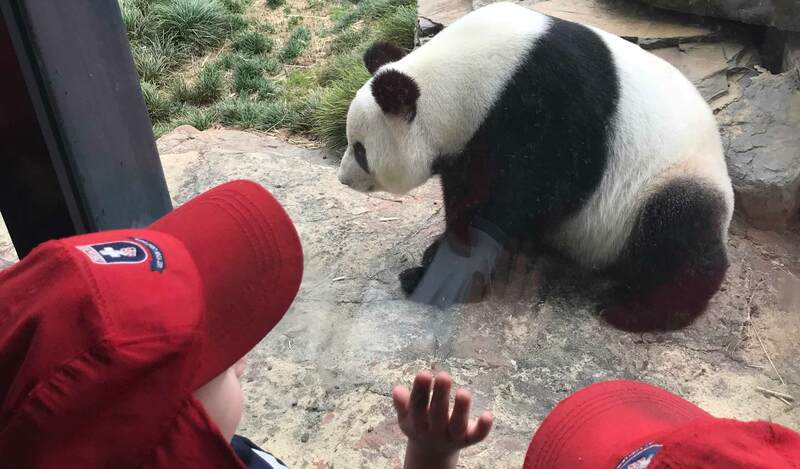 A highlight of the day was visiting the panda enclosure where one of the pandas was very active and came very close to where the students were watching. It was a fantastic learning experience for our youngest students. 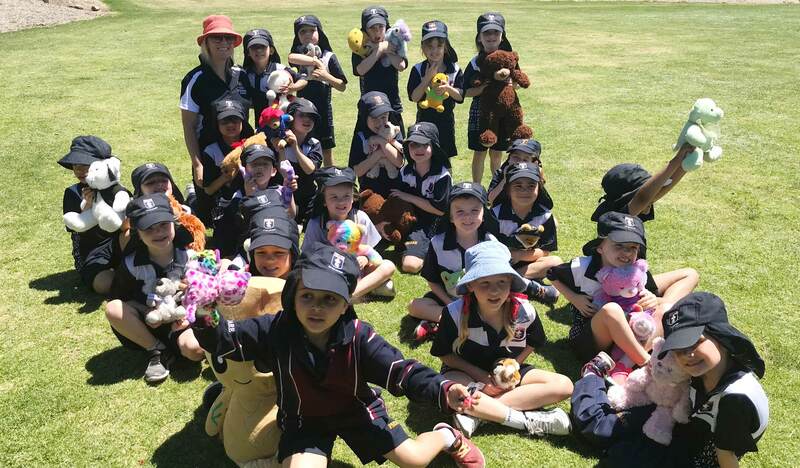 On Friday 16 November, Receptions took their Teddy Bear’s on a picnic to Golden Fields. We began with a walk to Golden Fields, carrying our teddies along the way. Throughout the morning there were two different playgrounds to enjoy, along with a picnic under the rotunda with our teddies. It was a fantastic day, suffice to say, we were all tuckered out by the end of the day! 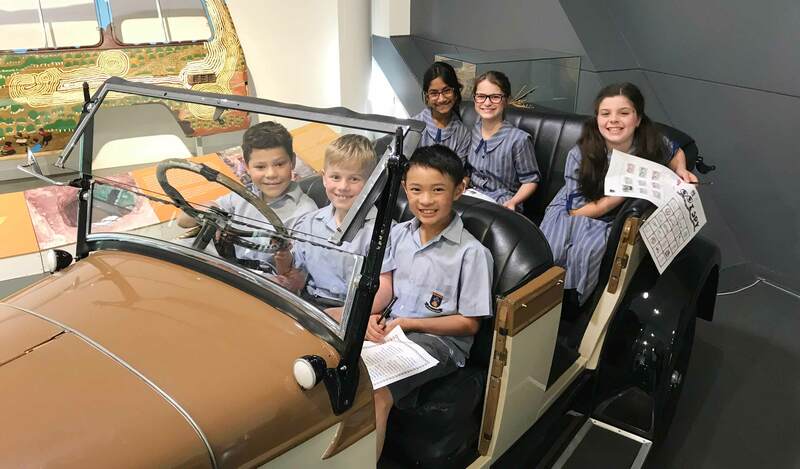 On Tuesday 13 November, Year 3s visited the National Motor Museum in Birdwood. As part of our inquiry unit ‘How the World Works,’ students have been looking at the concepts of Change, Form and Function. Our central idea has been about exploring how ‘Humans are driven to imagine, construct and invent. We felt this was a perfect opportunity to explore the invention of cars and the use of a production line to mass produce vehicles. 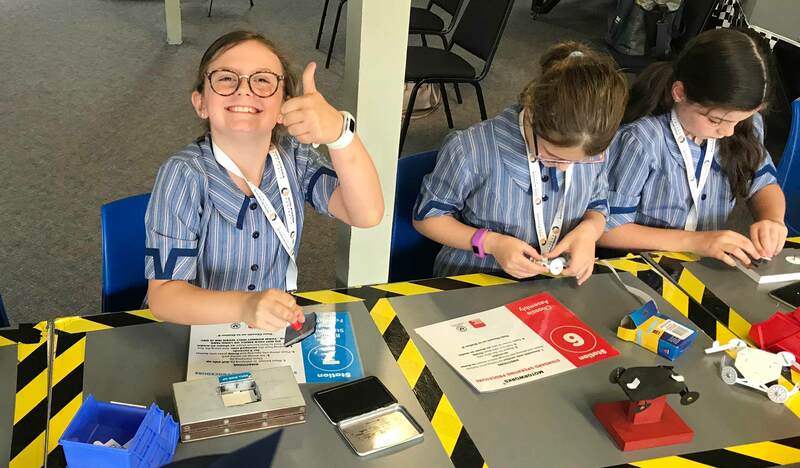 Students took part in the Motorworks program at the museum where they learned about the introduction of the assembly line and the impact it had on vehicle manufacturing. Year 3s then simulated an assembly line to build a cardboard replica of a Model T Ford. Each child had a different task to complete in their section and some were supervisors of a whole section. Students loved the responsibility of their roles and worked really well together. This was a huge learning opportunity for the students. 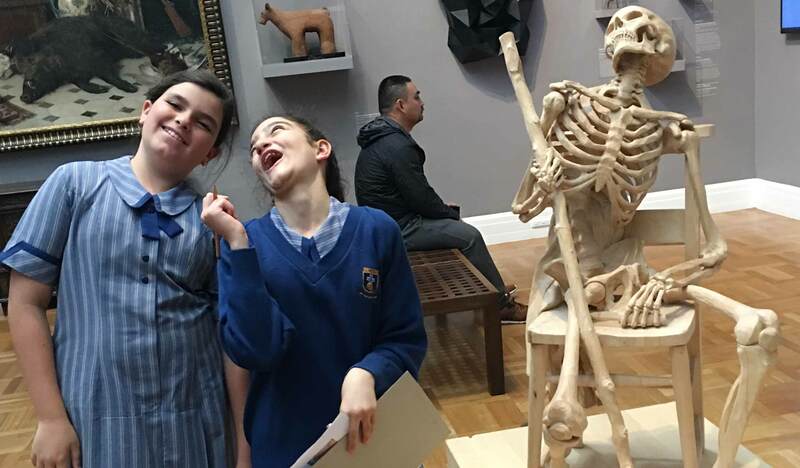 It was then time to explore the museum, with students splitting into small groups, where they had another excellent opportunity to see the concept of change right in front of their eyes. There was a clear timeline and development of the motor industry on show. 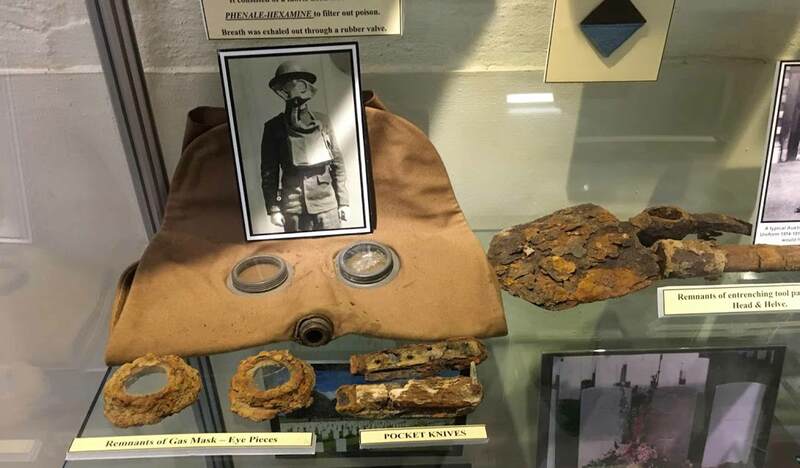 As well as seeing all those amazing vehicles, the museum also provided a few activities for the children which they found very engaging and challenging, especially the ‘Hunt for Junk’ on the car. Year 3s had a fantastic time and many of them are very keen to return with their families in their own time! 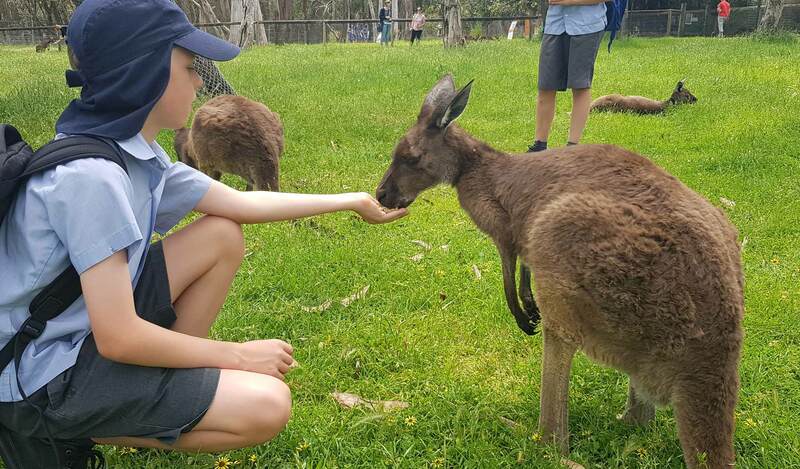 On Monday 12 November, Year 5 students travelled to Cleland Wildlife Park as a part of their Science Inquiry into animal adaptations. 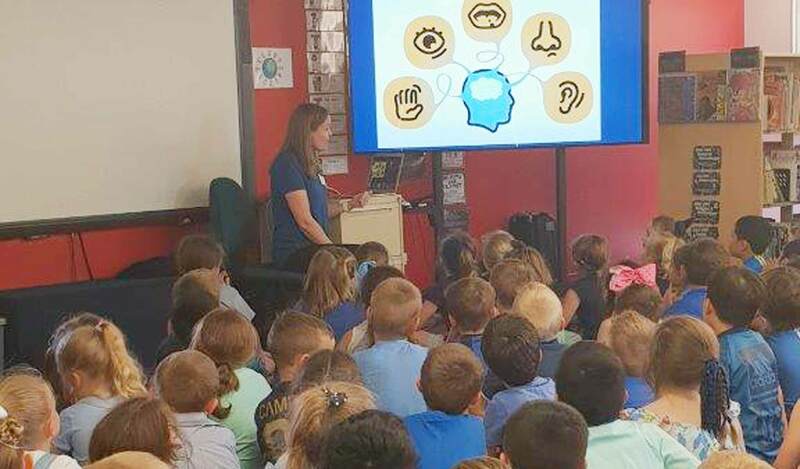 Students took part in an education session which focussed on adaptations unique to Australian wildlife. 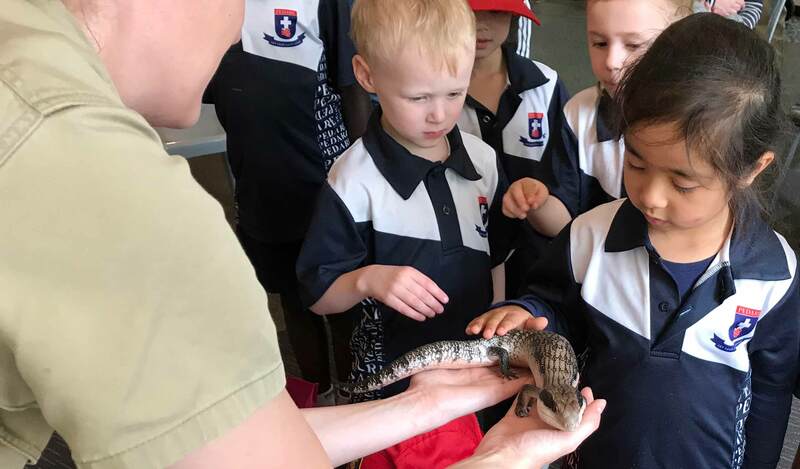 The students were able to touch and identify the adaptations of a ringtail possum, children’s python, bearded dragon and a gidgee skink while learning about their unique features. 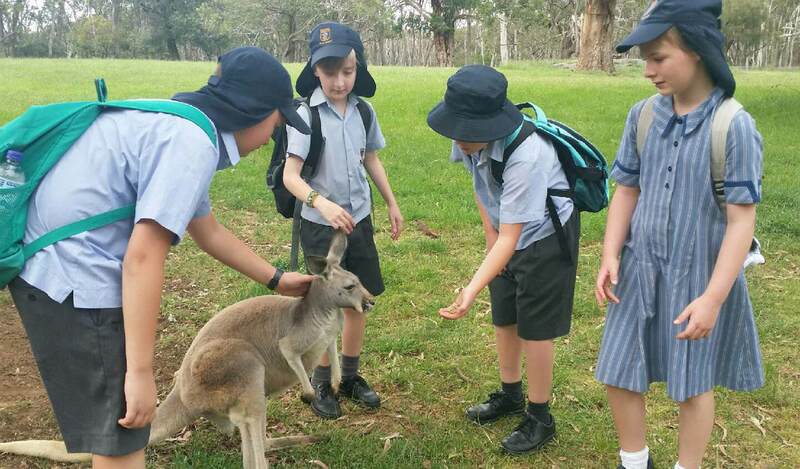 While exploring the wildlife park, Year 5s kept a tally of the different animal classifications. They also documented unique features of the animals, their adaptations, conservations status and threats. Some of these documented animals included dingoes, goannas, snakes, echidnas, kangaroos and wombats. 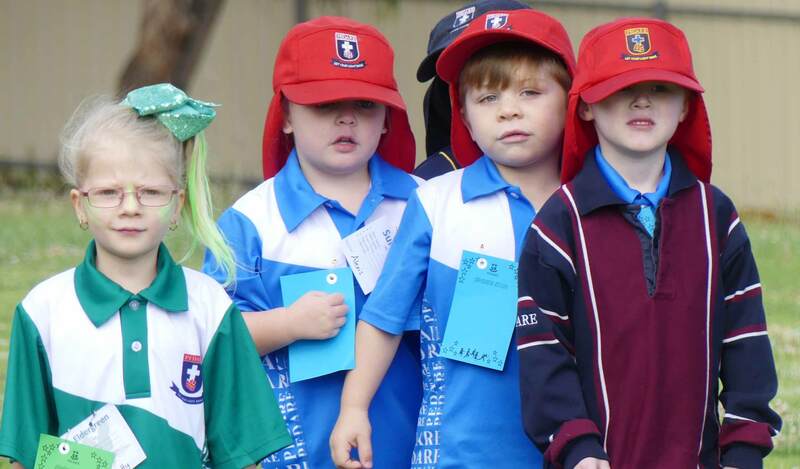 On Tuesday 30 October, the Junior School held an Autism Awareness Day. 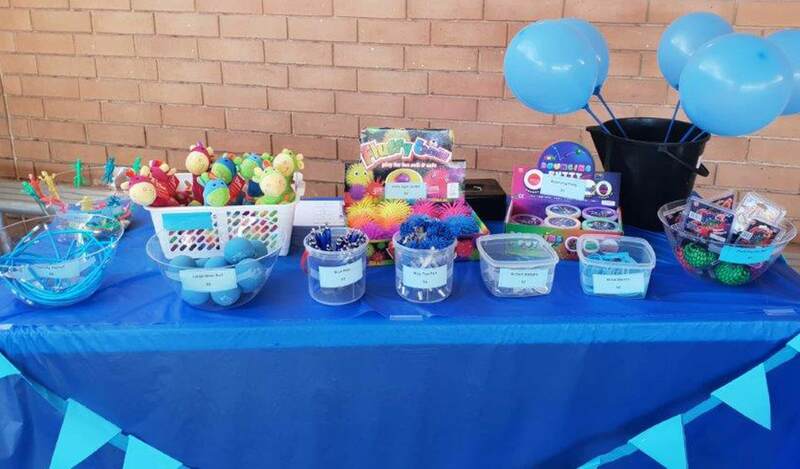 The SVC organised two stalls to sell a variety of items sourced from several organisations that support children with Autism. 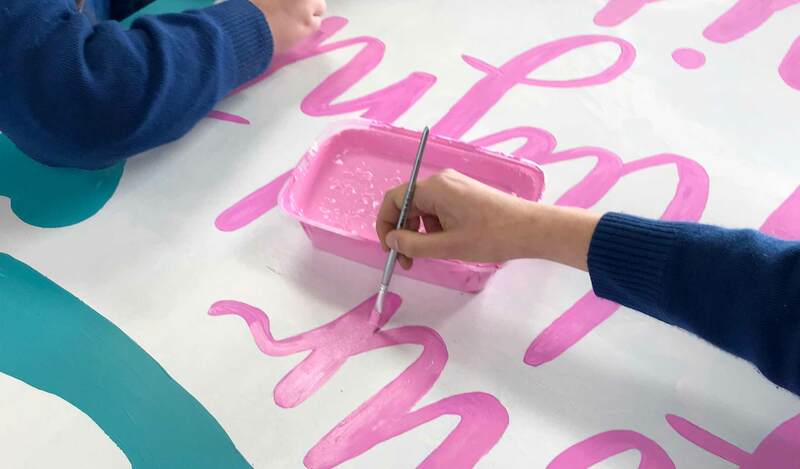 This proved very popular with students, with some items selling out very quickly. Students enjoyed the day and had lots of fun. A donation of $600 will be sent to Autism SA to support the work they do for children living with Autism. 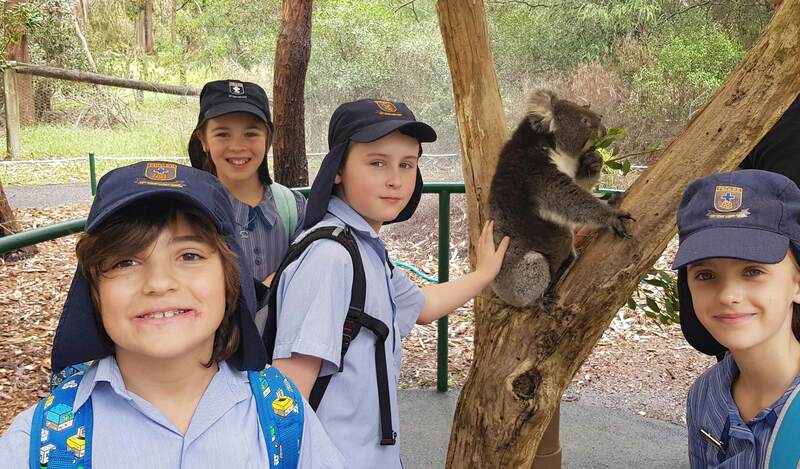 On Friday Week 6, the Year 6 cohort headed to the city for their annual City excursion. 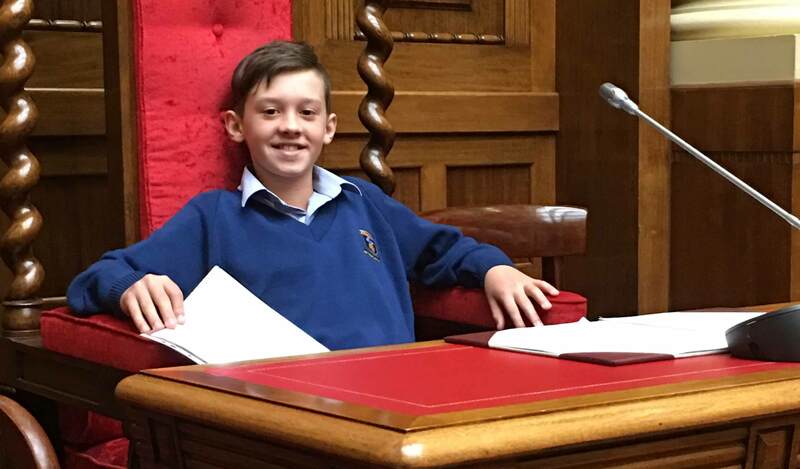 Students were very excited to visit Parliament House and to debate in the House of Assembly. Each class chose their own Bill to debate; 6Y’s Bill (proposed by Minister Ryan Ansari) was that all school students should participate in 3 government funded sports clinics per term. Year 6s came up with excellent arguments for and against the proposal. 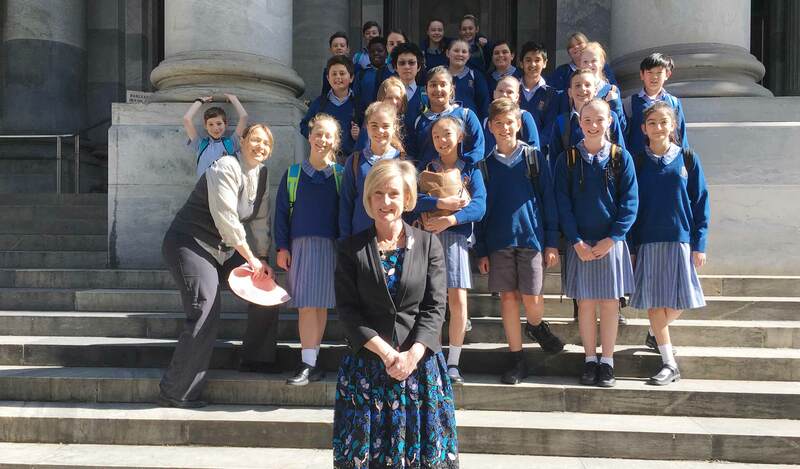 We would like to acknowledge and thank Paula Luethen, Member for King, and her staff, for taking time out of a busy schedule to host us in Parliament House. Students also visited the Centre of Democracy where they learnt about how South Australians have exercised their People Power in SA’s lively and passionate history of activism and civil disobedience. The last stop was the Art Gallery, to complement our studies of Aboriginal art and other notable artworks. Students were very engaged and were excellent ambassadors for Pedare in their presentation and behaviour. We would like to thank the parents who accompanied the excursion for your time and support, we greatly appreciate it. 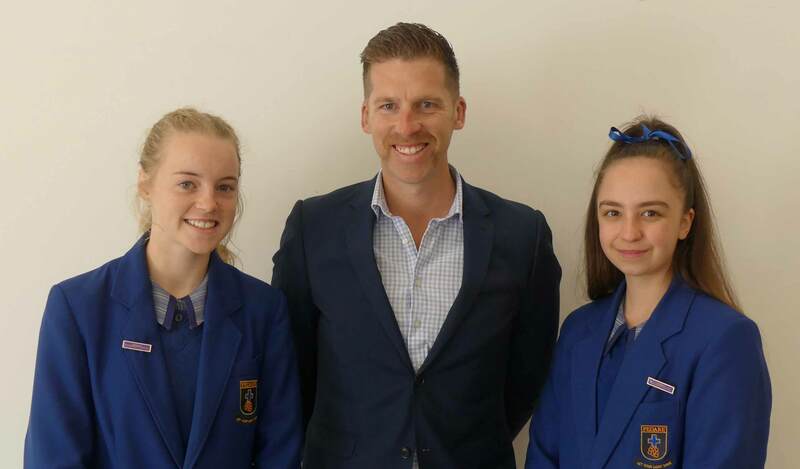 On Tuesday 20 November, a facilitator from Start Smart came to the College to talk to the Year 9 cohort about ‘Smart Spending.’ The Start Smart program, run by Commonwealth Bank, changes the way young people learn about money. It makes money management interactive, engaging and fun. The program equips students with the confidence to make competent smart decisions about money. Students were thoroughly engaged in the workshop and have realised the important lesson that it is never too early to start making strategies for Smart Spending. Two Year 9 students commented recently on what they have learnt about war and the effects it has on people’s lives. 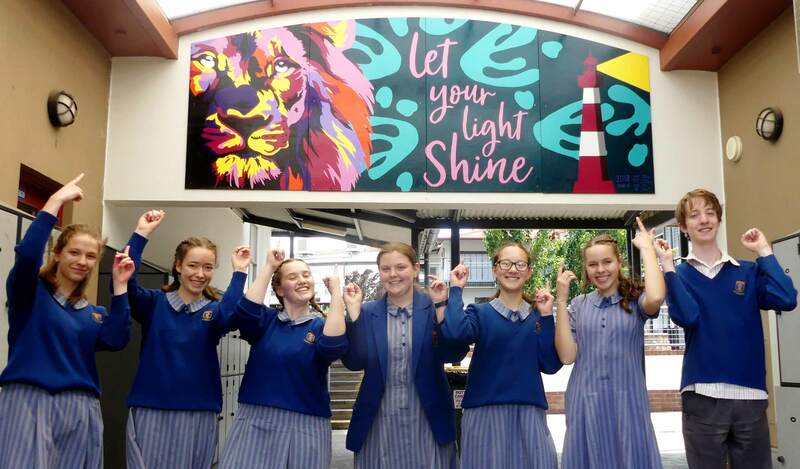 In Year 10 Media Art students have removed an old mural from the Senior School courtyard and repainted it. Their goal was to make something bright and inviting. Thank you to the maintenance team for assisting with the removal and installation. Thank you to Mr Adrian Powell for helping with this project and painting the top gloss coat. 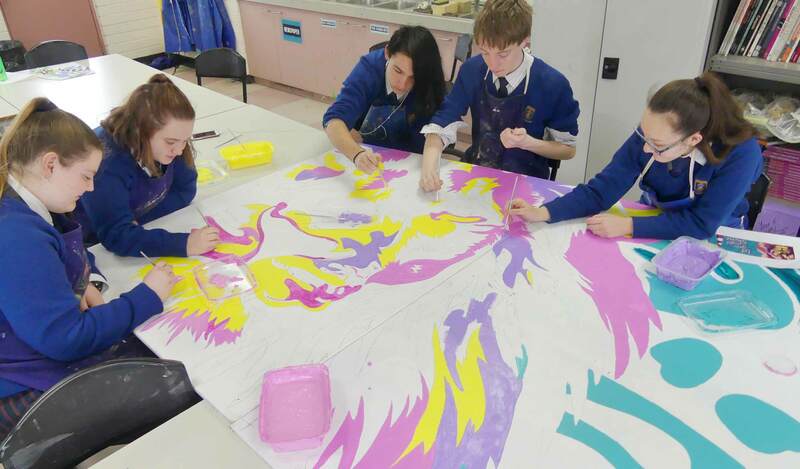 Thank you to Mrs Gillian Edwards for giving the students the opportunity to paint this and providing the brief. Well done to Liliana Carletti, Anderson Emery, Sarah Ferrige, Isaac Rae, Amelia Redding, Zoe Roshkov, Lara Smith and Sarah Whittington for their contribution to the College. Next time you are walking from shared facilities, make sure you look up! 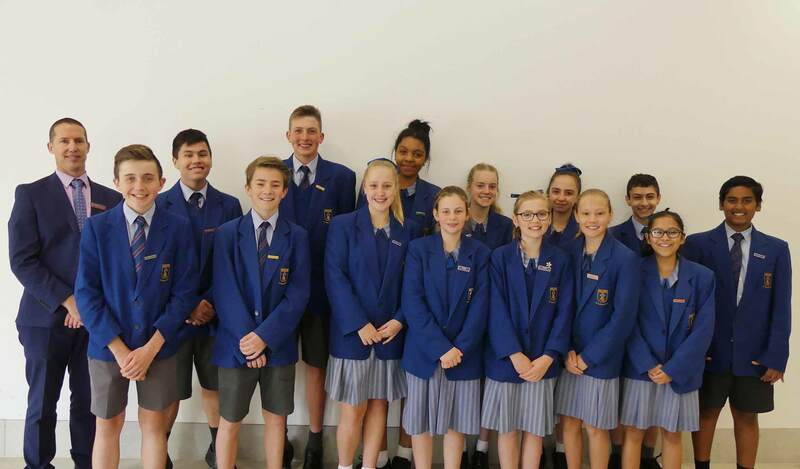 On Thursday 9 August 2018, 78 students from Years 4-12 took part in the Australian Mathematics Competition. The competition is designed to attract the average student to the study of mathematics by demonstrating the relevance of mathematics, its place in everyday life, all by making it fun. 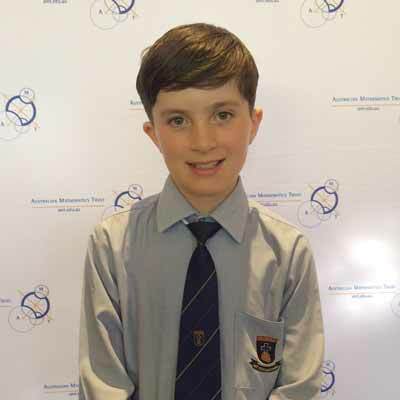 Two students who achieved a High Distinction, Shaun Phillips, Year 7, and Thomas Palmer, Year 4, were privileged to be invited by the Australian Mathematics Trust to the 2018 Australian Night of Mathematics at Westminster School, where they were presented with an AMC High Achievers certificate for their part in the Australian Mathematics Competition. 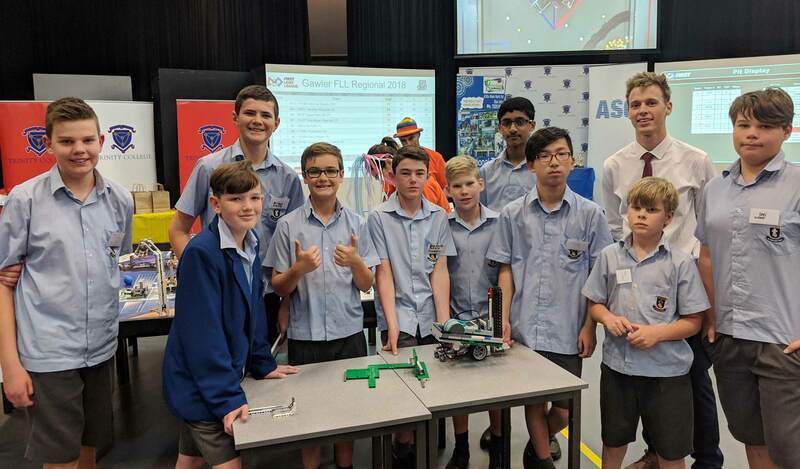 On Sunday 18 November, Pedare Pioneers entered into the FIRST LEGO League (FLL) Gawler regional tournament. 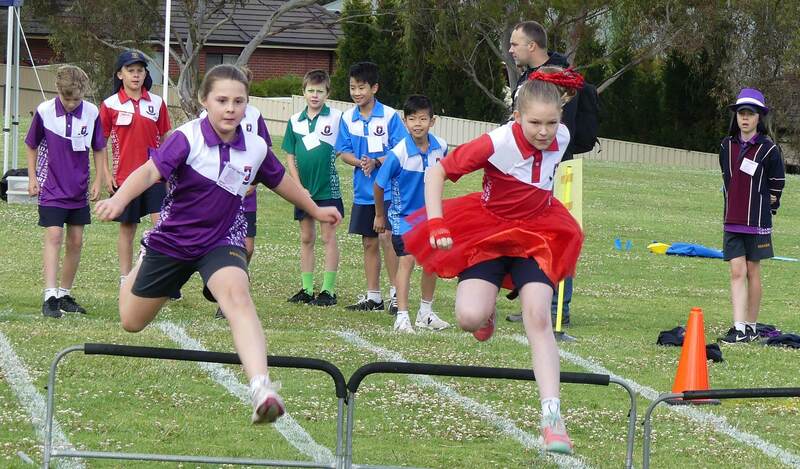 Our aim was to progress through to State Championships to be held on Saturday 1 December at Pedare. All are welcome to attend this event, so please come along from 9:00am onwards to support our students. After the first round, Pedare was excited to be leading, however, other teams quickly caught up. A few unfortunate technical errors sent the team down the leader-board of the robot matches. Fortunately, a well-engineered robot, supported by students that could communicate their knowledge of the build, secured the ‘Robot Design Award.’ With many other aspects judged, the team made it through and were given a place in the upcoming tournament. Now the Pioneers have a greater understanding of the expectations, they are eager to refine their robot ready for the next tournament. 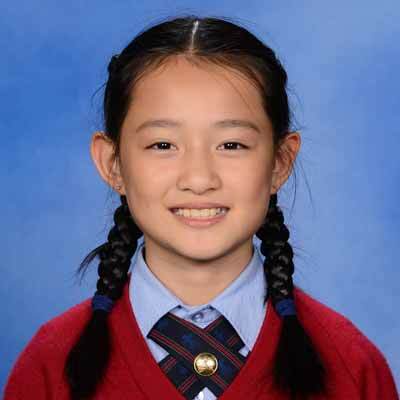 Congratulations to Tianxin Feng, Year 4, who recently achieved a High Distinction (A+) for her AMEB Piano Grade 2 exam. Meets Friday each week at 7:30pm. The next meeting is on Friday 30 November. Come for a great time of games, friendship and bible discussion. 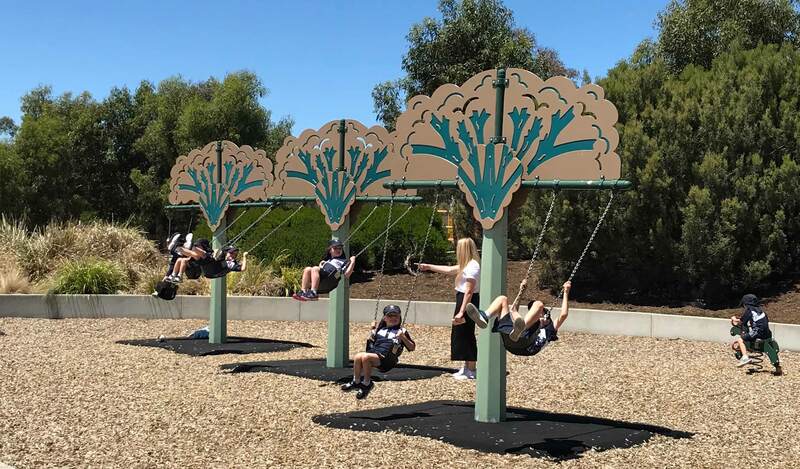 For information about 2018 SWAT Youth, phone Dave on 0403 723 953 or click here.